Home > One-of-a-Kinds ~ Antique and Collectibles > Men's Sold > z Sold Geo. 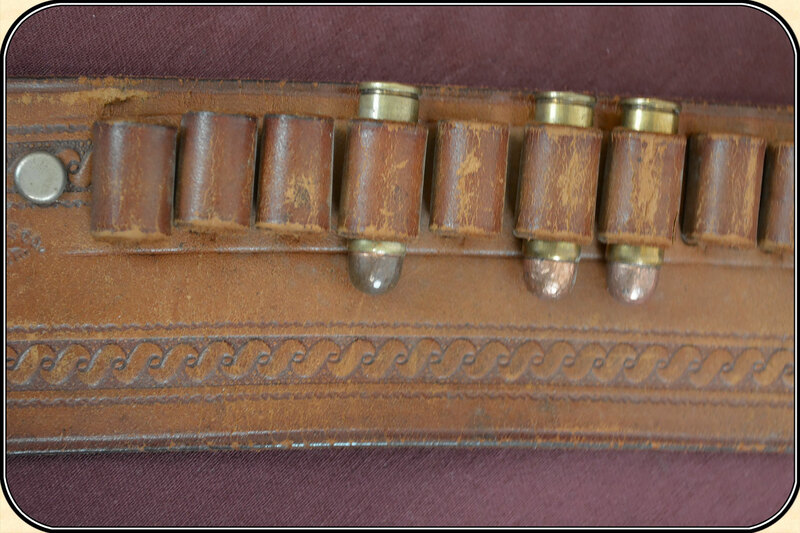 Lawrence Co. .41 Colt cartridge belt. z Sold Geo. 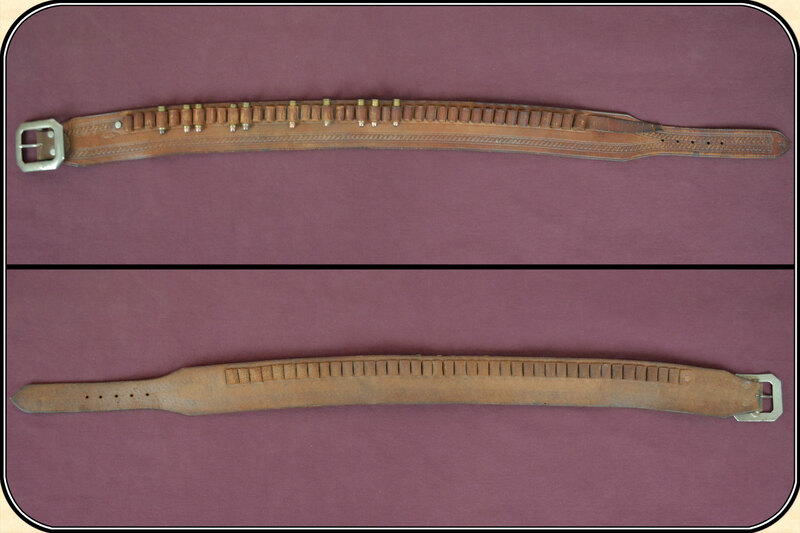 Lawrence Co. .41 Colt cartridge belt. 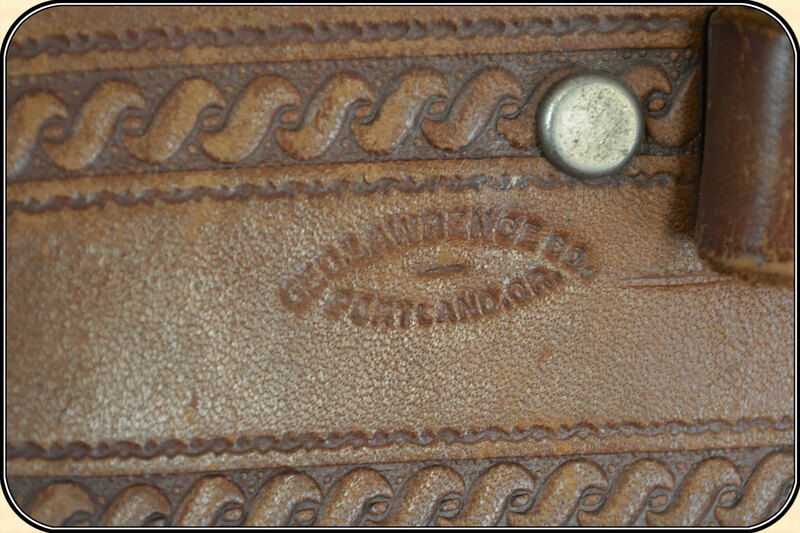 This Vintage belt is marked Geo. 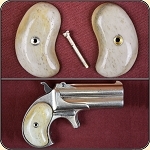 Lawrence Co. Portland Ore. made for .41 Long Colt cartridges, a common cartridge in the old west. 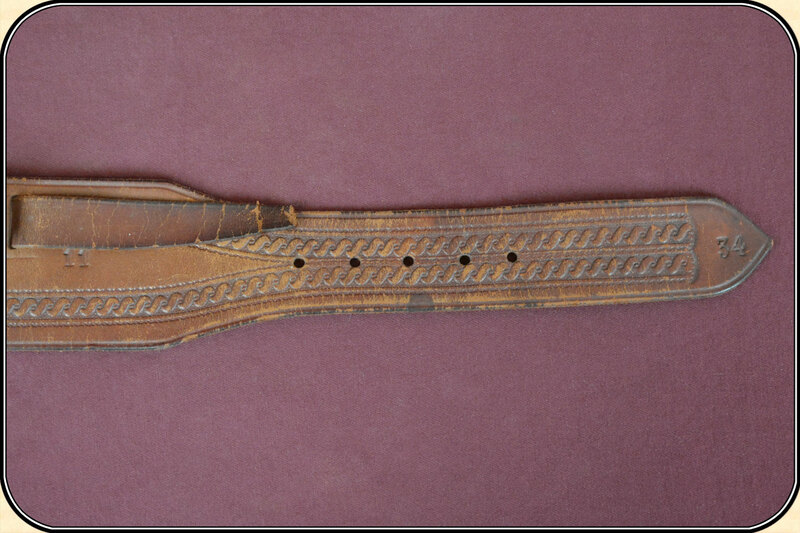 An interesting old belt constructed from light tan leather. 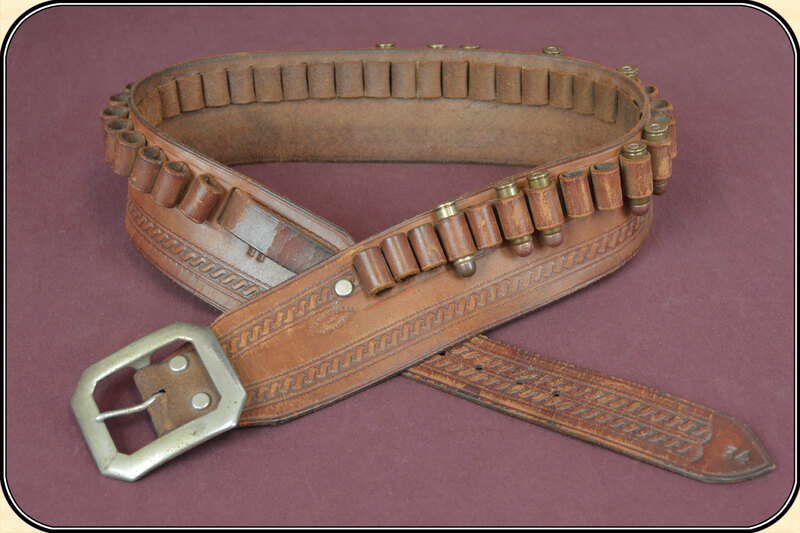 The belt has 40 cartridge loops that accommodate .41 Long Colt Cartridges or similar size revolver or rifle bullets. This belt has an interesting boarder rolled on. 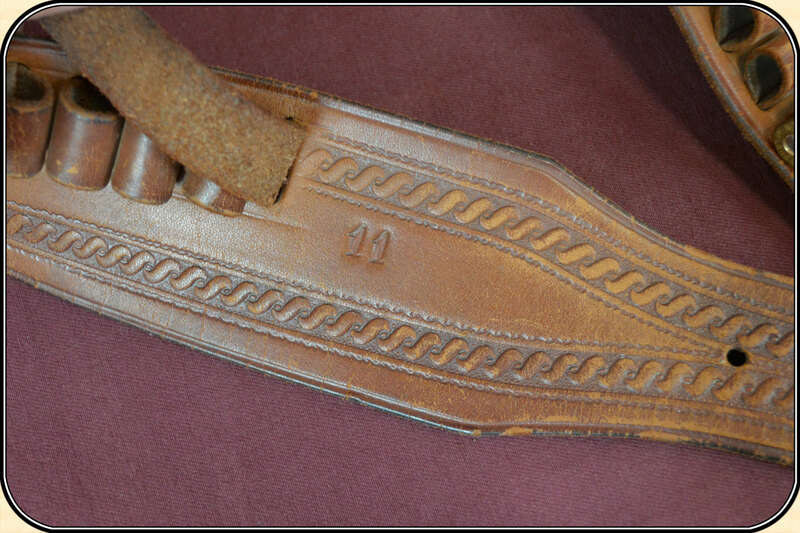 The belt is 2 1/2” wide x 40" long with a clip corner buckle. 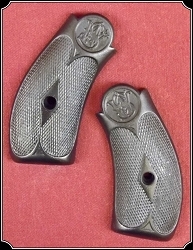 The cartridge loops are laced through the belt and all intact, with no breaks or tears. 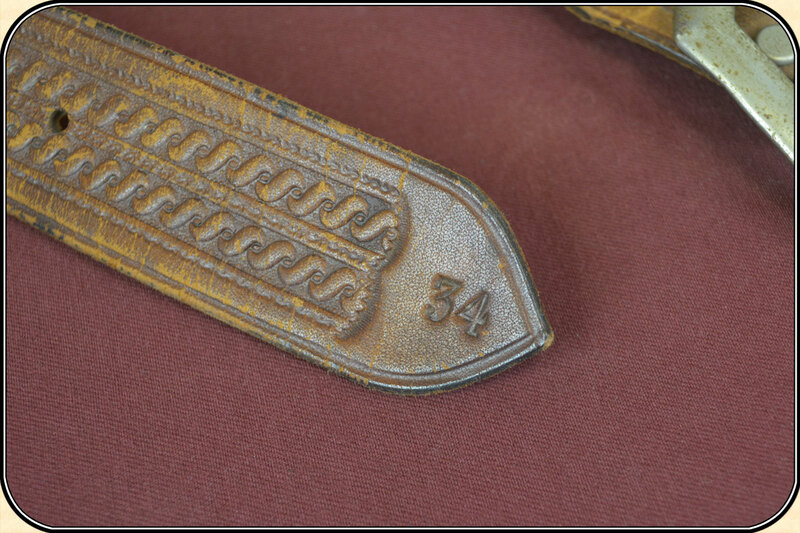 The tong of the belt is marked 34 likely the suggested waist size. 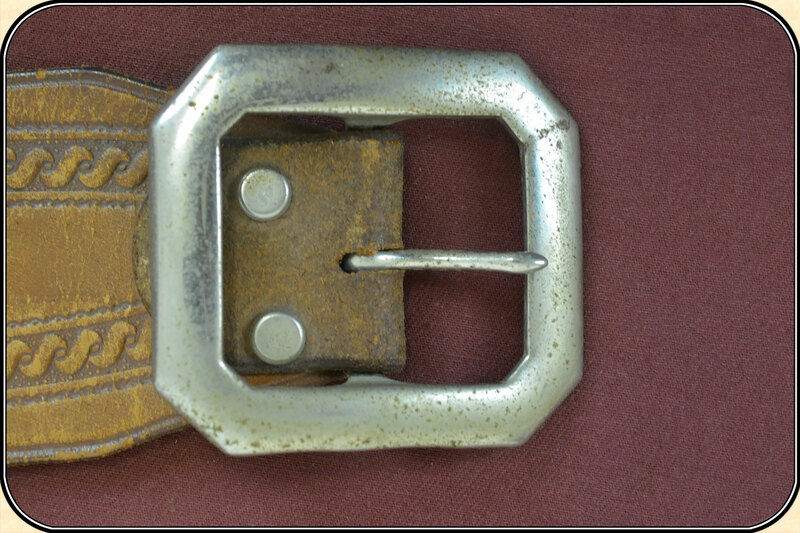 The original buckle is nickel plated steel and shows all its tarnished nickel finish. The leather is supple with no damage and is ready to display. This belt would be perfect with with a vintage holster and you .41 Long Colt revolver. 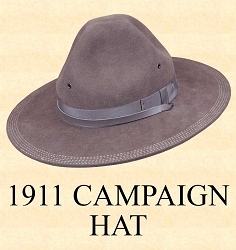 The bullets shown are not included.